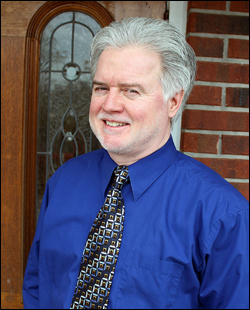 Mike Mason has 35 years of experience in preparing income tax returns and is a licensed Registered Tax Return Preparer by the IRS. Upon graduating from Georgia State University’s College of Business Administration in 1978, he worked as a staff accountant in an accounting firm in Conyers, Georgia. A few years later, he setup his own public accounting firm, working out of his home. Mike not only welcomed clients into his home, but he would also visit their homes or businesses to gather and prepare returns. This personal touch resonated with customers, and has become a signature of Mason’s Business Services as it continues to grow. Today, Mike and his staff encourage clients to contact them anytime during the year with questions, rather than worry about a financial situation or make an uninformed decision. Outside of the busy tax season, most clients feel so comfortable with the staff that they know they can just stop by any time, without needing to make an appointment. Mike and his staff pride themselves on delivering personal service and a professional finished product at a price that cannot be matched by the big name firms. 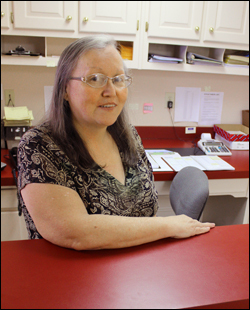 Denise House has been in the income tax business for 40 years and has been a part of our team since 1991. We’ve grown quite a bit in client number and reputation over the past 23 years and Denise has been here every step of the way. She is responsible for the day-to-day operation and review for the majority of the tax returns that we process. She also takes care of the filing of our electronic tax documents as required by the IRS and follows up to answer any questions that they should have in resolving and speeding refunds to our clients. Even though her responsibilities are many during the 11 weeks of tax season, Denise is always more than happy to speak with clients about their tax return questions whether by phone or by appointment. 10 years preparing personal tax returns which often requires making sense of all the complexities involved with State and Federal tax codes for my clients. I’m a lifelong resident of the Conyers and Covington. I have an Associate’s Degree with High Honors from Georgia Perimeter College. I’m a certified QuickBooks Online Advisor and a member of the American Institute of Professional Bookkeepers. I’ve been an accounting associate with Mason’s Business Services since 2003 and am looking forward to a bright and successful future helping to promote sound bookkeeping and tax practices for the betterment of our clients and community. Amanda Olmsted has been on staff at Mason’s Business Services since 1996. She graduated from Georgia State University in 1985 and has over 31 years of experience. 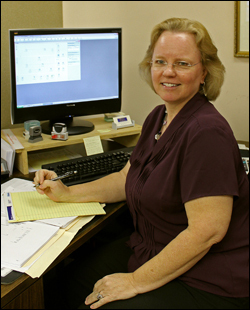 She is licensed as a Registered Tax Return Preparer to practice before the IRS and has been in the tax-accounting field for more than 26 years. She is also a QuickBooks Pro Advisor and offers one-on-one training to our clients. Amanda takes pride in working with our clients to help them reduce their tax bill while at the same time helping them understand how the different facets of the tax code affect them. You can schedule an appointment to meet with Amanda for questions or to begin work on the prep. Mike Mason takes a look at what you can expect in 2019. Here’s an interesting article about the new tax forms for 2018. As you can see, the shorter 1040 page itself doesn’t hide the fact that there are still quite a few schedules and attachments along with the familiar high volume of instructions that taxpayers will continue dealing with in order to file their tax returns each year. No surprises here. We’re ready to help in any way we can.